Facing college or school entrance exams? Need help preparing? Want to improve your score? Everyone wants to do well to get into the college or university of their dreams. But preparing for college entrance exams can be stressful and confusing. Don’t leave such an important stepping stone to chance! With over 20 years' experience helping students improve their academic performance, Z Prep! can help! Z Prep! test prep services offer proven test preparation programs that include all the elements you need to be ready for your college, grad school or private school entrance exams. We’ll set you on a path to success with a personalized study program based on diagnostic testing that includes an individualized study program and one-on-one tutoring sessions to help you strengthen your weak areas and stay on track. You’ll experience a full practice exam, and learn tips and techniques that will help improve your score. Let us help take the stress and confusion out of test prep by matching you with a qualified tutor to guide you through the program. 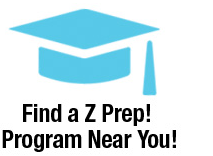 Whether you need test prep help for SAT or ACT, or for high school or graduate school entrance exams, Z Prep! has a program close to you. As part of the ClubZ! Tutoring family, Z Prep! 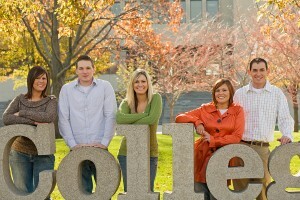 has over 20 years’ experience helping students get the test scores they need to get into the colleges they dream about. Our one-on-one test prep tutoring programs are available in-home or online, so you don’t have to go to a tutoring center or class. Find out more about our highly effective individualized test prep services for SAT, ACT, GMAT, GRE and LSAT and start making your college dreams come true!